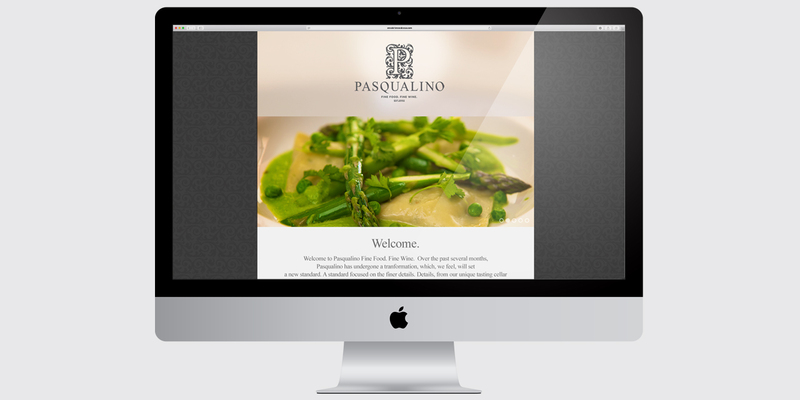 Client Pasqualino – fine food. fine wine. 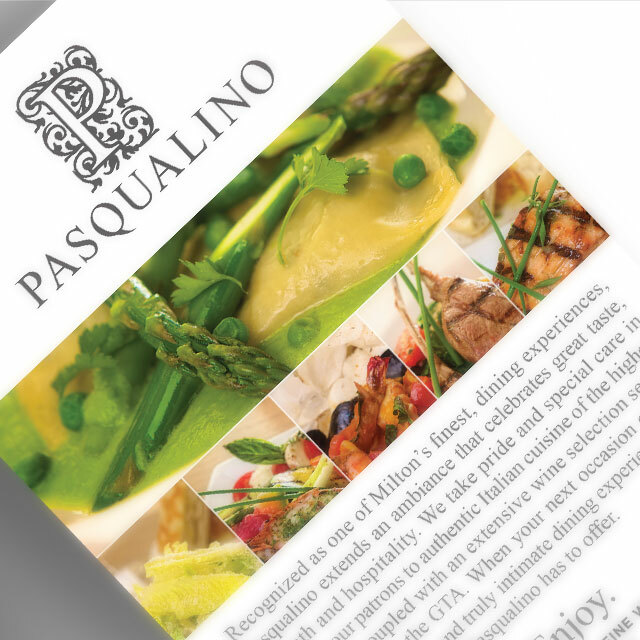 Pasqualino cafe and bistro had already established a local reputation, as a successful restaurant and one of the finest in Milton. It was time to grow. 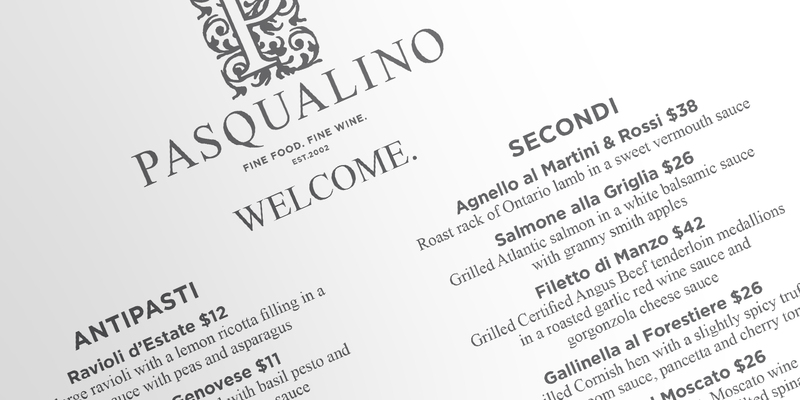 With the acquisition of the neighbouring building, the cafe and bistro went through a major renovation. 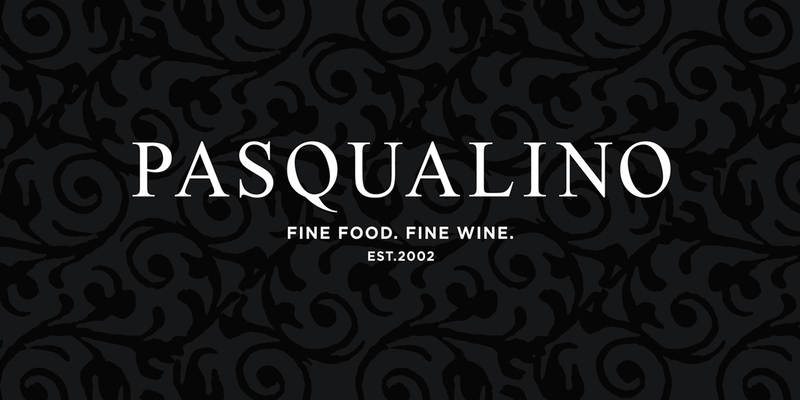 The family business knew that with a major investment. They also wanted to make a major investment in their brand. In consultation with BANG! 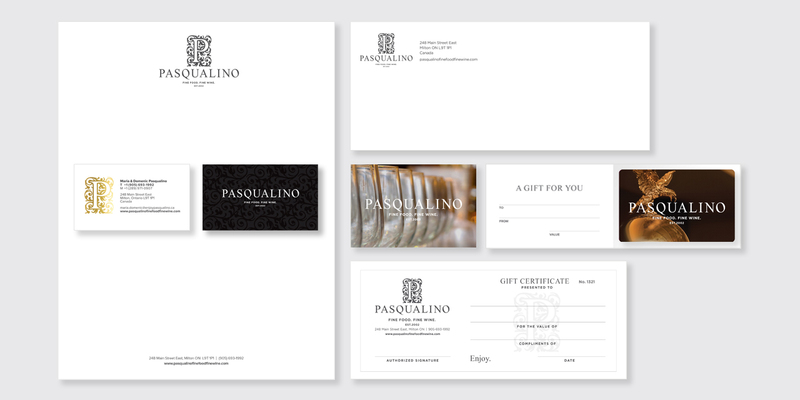 creative, a strategy was developed which included a brand refresh. 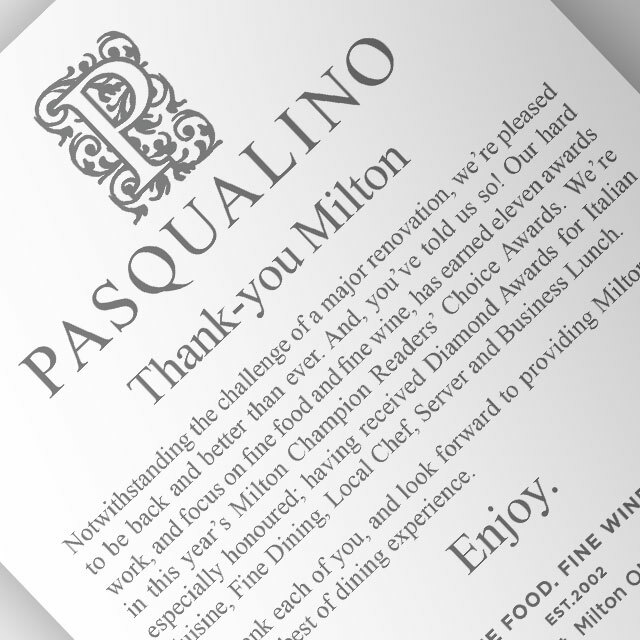 Elevating the style of the restaurant to the fine dinning establishment it has become known as. 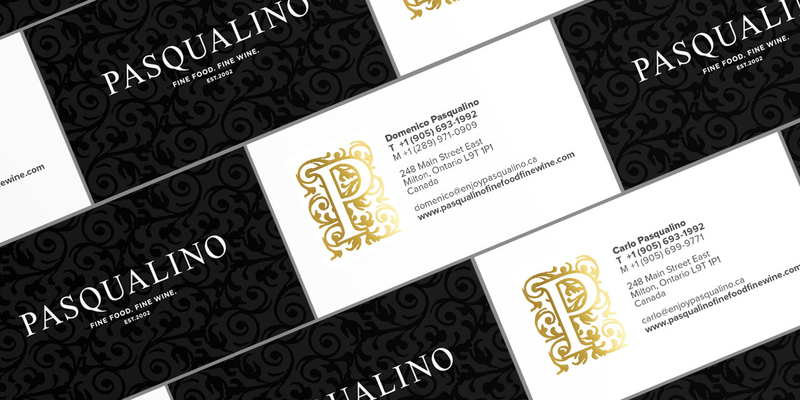 The rebrand extended a fresh, contemporary appeal focusing on the Pasqualino name and the interior design elements. 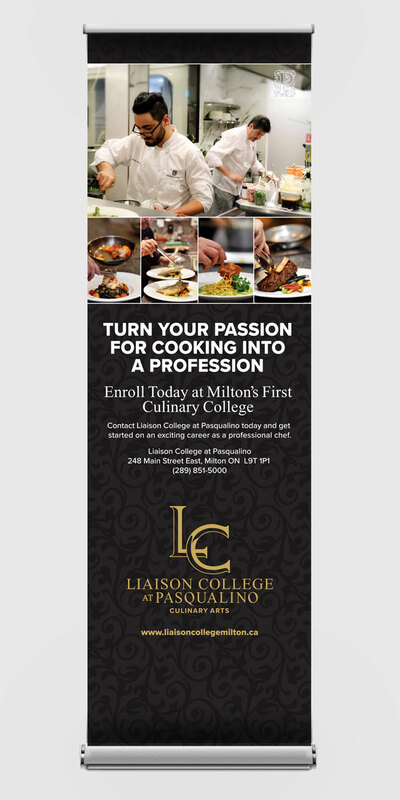 Typography, photography and graphics, brought further attention and clearly boosted brand recognition. As the cornerstone of the brand, these elements further established their brand footprint, becoming the primary components in print, online and social media initiatives.